Are you in the market for a new or used car? You might want to get rid of your old one first. Sure, it’s nice to have a backup ride in the driveway, but older cars are notorious money pits: registration renewal fees, wheelage taxes, loan payments, and routine maintenance all add up, not to mention increasingly burdensome outlays for unexpected repairs. At some point, you’re throwing good money after bad. Selling your car is a great way to raise extra cash. On this point, how you sell makes all the difference. Compared with dealer trade-ins, private-party sales almost always result in a higher net sales price. According to a 2014 LA Times story, a car valued by dealers at about $13,000 sells for about $14,500 on the private market – a difference of 12% relative to the lower price. That’s real money. The gap is comparatively wider at the lower end of the market. My wife and I recently shopped a car worth $3,300 to $3,500 on the private market to dealers in our area. Our highest trade-in offer: $1,800. See Also: This guide is designed for regular car owners looking to offload personal vehicles on the private market. If you’re interested in selling cars at volume to generate a regular source of side income, check out our guide to fixing up and flipping cars for profit. Before you list your car for sale, you need to know what you’re working with. Then, you need to get it ready for its close-up. First things first: assess your car’s general condition. Using an oil change and coolant flush as a pretext, bring it into a trusted mechanic for a thorough inspection. You’ll likely have to pay extra for a thorough multipoint inspection – perhaps in excess of $100 – but it’s well worth the peace of mind. Ask your mechanic to check any systems or components you’re particularly worried about – for instance, if the brakes are squeaky, you’ll want to make sure those are inspected. Weigh the results of this assessment objectively. 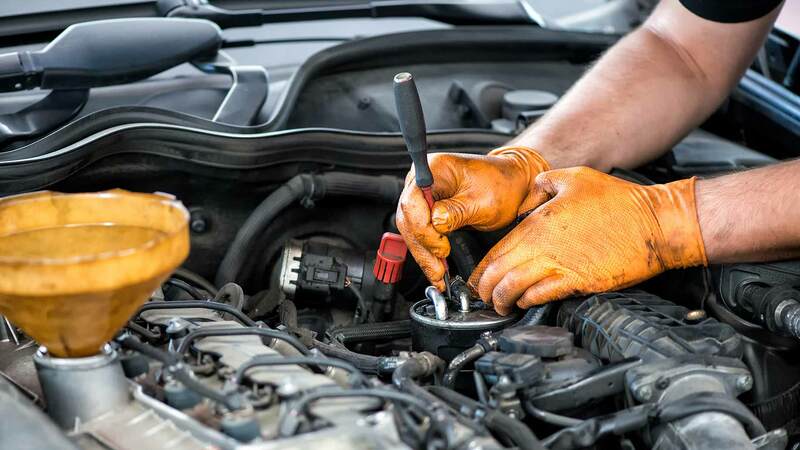 An honest mechanic shouldn’t be too aggressive in diagnosing potential problems, but you’ll want to ask directly which problems are serious and which can wait to be fixed. With the exception of electronic problems, these issues are more likely to occur in older, higher-mileage, and seldom-driven vehicles. In other words, the 20-year-old car under the tarp in your yard is probably going to be more problematic than the three-year-old commuter car that just rolled off its lease. If the pressing problems are numerous, costly, or both, think carefully about your plan to sell your car on the private market. You’ll have two options here: Pay out-of-pocket to make the fixes before you sell, or list your car in shaky mechanical condition and prepare to accept a lower selling price. In both cases, you’ll need to accept lower net earnings from the sale. When you know you’re going to get less, it’s natural to ask whether it’s worthwhile to go through the hassle of a private-party sale at all. This question turns on a simple mathematical calculation: Will you earn more selling your tainted car to a private buyer or trading it in? Take your car to two or three local dealers to get a sense of what it’s worth on the trade-in market. Then, visit at least one other mechanic for a repair quote. If the private-party value is close to the trade-in value or a wash, the meager extra earnings might not be worth the hassle of selling the car yourself, but that’s more of a judgment call. If repair costs don’t wipe out the difference between your expected private-party earnings and the vehicle’s trade-in value, you’ll want to stick with the plan to sell to another individual. Once you’ve checked out the car and decided to sell it privately, use this checklist to get it ready to list. Your exact presale to-do list will depend on your car’s overall condition and the type of buyer you’re hoping to attract. Take Everything Out of the Interior and Trunk. Unless you use your old car to drive for a ridesharing app like Uber or Lyft, its interior is probably less tidy than you’d like. Go through its cabin, including hidden places like the glove box and seat-back pouches, and remove everything that isn’t tied down. Yes, even the manual. If you plan to drive the car again before you sell it, leave only its registration documents, proof of insurance, and anything else essential for day-to-day operation (such as a GPS device). Thoroughly Clean the Interior. Next, deep-clean the interior. Take out the floor mats, beat them out, and then vacuum them for good measure. Vacuum every inch of the car’s flooring and upholstery, including hard-to-reach cushion seams and spaces under the driver and passenger seats. Use a mild cleaning solution (soap and water) and a cloth or gentle brush to work out upholstery stains. Attack tougher stains with a special carpet or upholstery cleaner (around $10 per bottle). Wipe down hard surfaces with a wet, soapy rag, taking special care to remove ground-in dirt. Use glass cleaner on both sides of every window (inside and out). If you don’t have the time or patience to do all this on your own, splurge on an auto detailing package, which includes a thorough exterior work-over. Depending on options, it’ll run you anywhere from $50 to $175 (per CarsDirect). Change the Oil. Next up, change the oil, even if the car isn’t due for a change. A bottom-of-the-barrel oil change costs as little as $20. If your car uses synthetic oil, you’re looking at $40 or $50. It’s still a sound investment. Consider a coolant flush or winterization package as well, especially if you live in a cold or hot climate. Expect to pay $50 to $80 for one of those, depending on options. Top Off All Accessible Fluids. Even if you don’t change the oil, top it off to the upper end of the normal range. Do the same with your windshield wiper fluid, coolant (antifreeze), and brake fluid. You can find all these fluids at your local auto parts store or the automotive section of your go-to warehouse club or big box discount store. Wiper fluid costs as little as $2 per gallon, engine oil and brake fluid as little as $5 per quart, and coolant as little as $5 to $7 per gallon. Neutralize Interior Odors. If they can’t get that new car smell, used car buyers want the next best thing: a pleasant-smelling ride. Noticeable odors turn off prospective buyers, adversely impacting demand, time to sale, and final selling price. If bad smells persist after you’ve thoroughly cleaned the car cabin, liberally sprinkle baking soda on every porous surface you can reach. Rub it in thoroughly, roll up the windows, and let the car sit for a few hours. Then, come back and vacuum everything up. If this doesn’t do the trick, invest in an odor neutralizer spray ($10 to $20 per bottle, depending on size and brand). Don’t bother with spray or hanging air fresheners – though cheaper, they’re only good for masking odors temporarily. Gather Maintenance Records and Receipts. Gather all service and maintenance receipts and work orders, preferably itemized, and stick them in a folder. Go as far back in time as you can – the goal here is to show skittish buyers that you’ve been taking good care of your car for as long as you’ve had it in your possession. Be ready to hand the receipts (or copies) over to prospective buyers upon request. If you haven’t been keeping records, make a point to start with your next car. The increased buyer interest and higher selling price more than make up for the inconvenience. Return All Manuals and Other Informational Material to the Car. Return the car’s owner’s manual and any other relevant informational material to the cabin before you list. Your eventual buyer will want them. Go Through the Car Wash. Last but not least: Right before you list your car, take it through the car wash. Consider an add-on buff and shine package, which can run anywhere from $10 to $50 extra, depending on thoroughness. It’s not worth it for everyday tooling around, but it can make all the difference before you’re ready to sell. Now that your car is ready to list for sale, you need to create and promote a killer ad. Take Copious Exterior Photos. Most online classifieds and car marketplaces have gallery features with ample storage space. Take full advantage by snapping copious exterior photos – at least eight, from a variety of angles. Zoom in on any exterior features you want to highlight, such as fancy headlights, aftermarket rims, and spoilers. Use a photo editing tool that lets you blur out your license plate. Snap a Few Interior Shots. You don’t have to carpet-bomb your interior with photos, but you definitely want to create a sense of the space (and show off how nicely you’ve cleaned the car up). Again, focus on noteworthy features, such as leather upholstery and in-cabin entertainment. Set a Price. Use the results of your mechanic’s checkup to honestly determine your car’s overall condition: excellent/new, very good, good, fair, or poor. Reputable car valuation services like Kelley Blue Book and Edmunds explain these terms in detail – check if you’re unsure. Use one of those valuation services to arrive at a fair private-party value. You’ll need to spend at least 10 to 15 minutes providing a comprehensive overview of your car’s features and options, some of which you won’t know off the top of your head. You don’t need to set your car’s initial selling price at exactly the price you’re given, especially if you’re trying to sell fast or get the best price, but it’s a reasonable starting place. Decide What to Highlight. Put yourself in the buyer’s shoes. What features stand out? What attributes appeal to you? What’s the car’s ideal use case? Why is this the right car for this particular moment in time? Make sure those answers end up in your ad. If gas is expensive at the moment, play up the car’s excellent mileage. If its trunk is roomier than average for its category, highlight all the storage possibilities. If you’ve just made a big investment in repairs, mention those (without implying that the car is in bad shape). You get the idea. Draft a Template Ad. Draft a template ad that includes all these selling points in concise, compelling language. Include a phrase or sentence that underscores a specific use case: “great commuter car,” or “perfect for active families.” Work in the more mundane attributes too, like transmission type and mileage. Most online marketplaces have sophisticated listing templates that incorporate features and options outside the text body, but you’ll need this language for Craigslist and print classifieds. Customize Accordingly. Customize your listing’s language accordingly – more on that below. Buy a For Sale Sign. Don’t forget to buy a For Sale sign to stick in your car’s window. Standard 9″ x 12″ signs cost as little as $3 or $4 – a bargain to tell the world that your ride is for sale. Time Your Entry. If you need to sell your car ASAP, ignore this step. If you can wait to part with your ride, time your entry to maximize the likelihood of a quick, favorably priced sale. In four-season climates, used car buyers lay low during winter, when the market is dominated by savvier bargain hunters. Seasonality affects certain types of vehicles more than others. The market for midsize sedans is always active, but trying to sell a convertible when there’s snow on the ground is a fool’s errand. Wait until summer to list specialty rides. There’s no shortage of places to list a used car for sale, but these are among the most common and effective. Depending on the type of car you’re selling and the type of buyer you’re seeking, some might not be appropriate for your purposes. While researching this guide, I touched base with Donovan Drake, principal at Houston-based Texas Cars & Autos. Drake, a licensed dealer, sells the majority of his cars through his dealership. But, every once in a while, he needs to offload a ride from his personal collection. When the need arises, Drake typically lists on Craigslist and Cars.com, both of which offer listing arrangements friendly to individual sellers. “Many auto sales websites allow individuals to list for free, while dealers are required to pay listing fees,” he says. Craigslist is a bare-bones classifieds site that’s great for the lower end of the used car market. If your car is priced well, it’s likely to attract interest on Craigslist, regardless of condition. Sites like Cars.com are a little more hands-on. A basic Cars.com listing is free, but you can pay for higher-end packages – the $49 Premium package includes more storage space for photos, a complimentary CARFAX report ($35 value), and keeps your listing active for five times as long as the basic package. Cars.com is ideal for low- to mid-range cars. The site claims to have an audience of 13 million, so you’re casting a pretty wide net – though, realistically, you’re only likely to attract buyers in your immediate geographic area. Pro Tip: No matter how or where you list, remember to specify your preferred mode of contact: email, call, text, or something else. Mention your active hours while you’re at it. The last thing you want is random prospects calling you out of the blue late at night. Unless you want to pay to promote your ad, which isn’t recommended for run-of-the-mill private-party transactions, social media is also free. If you don’t want random, anonymous people to see that you’re selling a car, don’t post publicly: Share a Facebook post only within your Friends network, send out a quick Snapchat meme to followers you know well, or create a private Twitter list with trusted associates. Social media is best used as an additive to other listing options. Use it to boost your Craigslist or Cars.com ad’s visibility, for instance. Place a concise classified ad with local newspapers and community magazines. Most local print publications also post classifieds online at this point, so you’ll be catering to more than just the people who happen to pick up the paper while your ad’s running. Print classified pricing is complicated, but the biggest determinant is the publication’s circulation. More readers means more eyeballs on your ad, and publishers charge accordingly. Space, measured in column-inches, is another important variable. The smaller your ad, the less you’ll pay. When every word quite literally counts, you need to be as sparse with your prose as possible. Flip to your local paper’s classifieds section to get a sense of how this looks in practice. Note useful abbreviations – they’ll come in handy. Online marketplaces, such as Autotrader (affiliated with Kelley Blue Book) and eBay Motors, are higher-end versions of online classified options. They’re ideal for used cars at any price point, save for super-specialized models. In theory, these online marketplaces charge you a premium to draw more traffic and serious buyer interest to your listing. In practice, their quality and value vary widely. For instance, Autotrader’s basic listing option unquestionably delivers less value than Cars.com’s free option – it allows fewer photos, has a shorter run time, and costs $25. eBay Motors, whose ads are far more versatile and value-rich than Autotrader’s, charges $60 per successful listing when the selling price is under $2,000 and $125 when the selling price is over $2,000. Donovan Drake also has luck with another low-cost listing option: the old-fashioned sign in the car window. “I can’t tell you how many times I’ve been approached at a light and asked about the price of my car,” he says. Some of Drake’s best individual sales leads come while he’s driving down the road. I found plain-vanilla For Sale signs on Amazon for around $5. I suspect you’d pay about the same price at your local hardware store. To put your sign to work, write your phone number, email, and the car’s price (optional) in black marker. Then, wait for buyers to come to you. A well-crafted, high-visibility ad should attract interest in short order. Here’s what you need to know about vetting, communicating with, and meeting prospective buyers. Are You Licensed to Drive in the United States? This is obviously a must. What Kind of Car Are You Looking for? 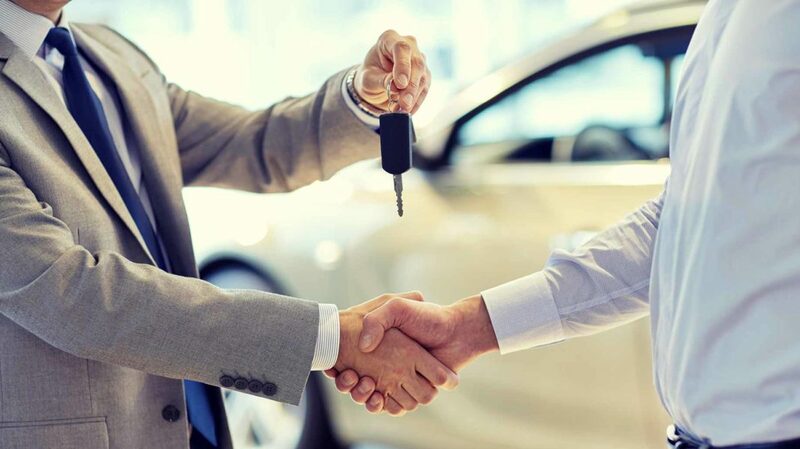 You don’t have to ask the buyer why they’re interested in your car, and they certainly don’t have to tell you, but you should ask what they’re looking for in general terms. It’s possible that they’re not experienced enough to know that they’re not interested in the right vehicle, or they’ve misunderstood something important in your listing’s content. Are You Buying for Yourself or Someone Else? Be wary of inquiries from representatives of purported buyers. They’re often pretexts for scams or robberies. How Soon Are You Looking to Buy? If your time frames don’t align, hold out for the right buyer. Will You Need a Loan? Loan underwriting takes time, particularly for buyers with bad or questionable credit. It also involves a third party (the lender) who may decide not to issue the loan at the last minute. Since they can theoretically come up with the money at any time and don’t need loan approval, cash buyers are preferable to borrowers. How Will You Pay? Get them on the record about their preferred payment method. If they try to change the terms of the deal at the last minute, you’ll have them on record stating otherwise. Finding a used car buyer willing to make an offer without taking a test drive is slightly more likely than stumbling across a unicorn on a hike through the woods. It just doesn’t happen. Take Valuables and Personal Items Out of the Car. Don’t be an easy target for crimes of opportunity. Take valuables and personal possessions out of the car’s cabin and trunk before you meet your first prospect. Meet in a Busy Public Place. “Always meet in public places,” says Drake. “I prefer busy parking lots, where everything is out in the open.” Grocery store or shopping mall parking lots are typically large enough to work well. Avoid congested areas though – you may attract the wrong kind of attention if you impede traffic flow. Travel Light. Leave extra cash and credit cards at home. You don’t need them, and you’ll avoid a hefty loss if things do go south with the prospect. Bring Backup. Don’t go to the meeting alone. Take someone you trust – a friend, relative, or your significant other – to lend a second pair of eyes in case anything seems amiss. Crimes of opportunity are much less likely with multiple sellers involved too. Tell Someone Where You’ll Be. Tell another person – not your test drive companion – where and when you’ll meet your prospect. Share the expected test drive route with them, if possible. Take and Confirm the Prospect’s Personal Details. Before the test drive, “[t]ake a picture of the buyer’s driver’s license, confirm that it’s valid, and match it with the individual,” says Drake. In other words, make sure the license isn’t expired and that it actually belongs to your prospect. Only Allow One Driver. Avoid allowing multiple strangers into the car at once. “If the buyer is with a larger group of people, only test drive with one,” Drake advises. Only allow the individual you’ve been communicating with to drive the car after confirming their identity from their driver’s license. Don’t accept “my friend is actually the buyer” as an excuse. And, “[i]f you get a bad feeling, pass on the deal,” says Drake. Limit Time Behind the Wheel. Don’t let your prospect linger at the wheel. Set a time limit for the test drive – say, 30 minutes. You don’t have to tell your prospect that you’re limiting the drive. Just stick to a prescribed route that incorporates a range of speeds and driving situations. Arrange a Follow-Up. If the buyer is still interested after the drive, hash out your next steps: when you’ll touch base again and to what end. A serious buyer may want to negotiate a selling price at this point as well. You can respond to that as you see fit (see below), but don’t consummate the sale yet. Trust Your Gut. Notwithstanding any of the foregoing, keep your wits about you at all times and trust your intuition. Drake’s “bad feeling” advice is sound: Selling your car a little faster isn’t worth compromising your physical or financial security. Pro Tip: Getting cold feet about letting strangers test drive your car? You may want to rethink your decision to sell privately. Concern for your personal safety is a valid reason to delegate private buyer communication to a dealer. Sooner or later, those tire-kickers are going to bite. Here’s what you need to keep in mind once the offers start rolling in. It’s your right to set a firm selling price and rebuff any attempts to negotiate a better deal. That won’t help you sell your car quickly though. To get rid of your old ride faster, you’ll need to accept less than your first ask. Once you’ve decided to negotiate, the trick is setting a bottom dollar – the absolute lowest you’ll accept for the car. Your bottom dollar will depend on the asking price, fair market value, buyer demand, your motivation level and sense of urgency, and other factors. Your bottom dollar shouldn’t be too far below the car’s fair market value, adjusted for condition. One way to avoid getting suckered is to set your asking price higher than it should be. For instance, depending on the vehicle’s sale price, Drake builds a buffer of up to $700 into his initial asking price. In other words, regardless of fair market value, he’ll accept as much as $700 less than his original ask. Set Up a Time to Meet With the Buyer. If you haven’t done so already, arrange a mutually convenient time and location to meet with the buyer. The fact that you’re about to sell a car to them doesn’t make this person your friend, so follow the same safety precautions as at previous meetings with prospective buyers: meet in public, tell someone where you’re going, and bring a friend if you feel unsafe. Confirm Payment. At the meeting’s outset, confirm that the buyer has payment in the correct (negotiated) amount and method. Think twice before accepting a personal check. “I only accept cash or certified payment, like a cashier’s check. When buyers give me a personal check, my answer is always ‘Sure: let’s go to your bank right now and cash it,'” says Drake. “If it’s an out-of-town check, it’s a no-go [unless the buyer allows me to] take it to the bank, deposit it, and wait until it completely clears to get the car.” Be prepared to walk away from the transaction if the buyer can’t or won’t give you payment up front. Prepare the Title for Transfer. Procedures for title transfer, popularly known as “signing over title,” vary by jurisdiction. Before you meet the buyer, complete the “seller” section on the reverse side of your motor vehicle title. Don’t sign it until you’ve received payment – if you do sign it and the title falls into the wrong hands, someone could sign your car over to themselves without compensating you. Go to the Motor Vehicle Registry. While not mandatory, visiting the closest motor vehicle registry with the buyer to formally sign over title can save a lot of grief down the line. The idea here is to ensure that the buyer completes the transfer and doesn’t leave you hanging liability-wise. Check with your local motor vehicle registry or secretary of state to learn what’s required of buyers and sellers in your area. Deposit Your Payment. Deposit your payment as soon as possible. If you’re carrying a bank check from the buyer, it’s highly unlikely to bounce, as banks honor those in all but the rarest of circumstances – even if the buyer tries to stop payment. Notify the Appropriate State Authorities. Separately from the title transfer and somewhat redundantly, you’ll need to notify your state motor vehicle registry or secretary of state that you no longer legally own the car. This step also varies by jurisdiction. In Texas, notifying state authorities is easy, says Drake: “You simply go and fill it out and let the state know who the new owner is,” he says. “This covers you in case the person you sold the car to does something after the car is no longer in your possession.” Most state motor vehicle registries let you do this online – my home state, Minnesota, has a super-simple form that takes all of two minutes to complete. Check with your local motor vehicle registry. Notify Your Insurance Company. Don’t forget to tell your insurance company you’ve sold your car. Taking the vehicle off your policy will immediately lower your premiums and add new flexibility to your monthly budget. If you prepay your policy, you’ll likely get a prorated reduction on your next payment. What’s next after you sell your car? Most used car sellers replace their rides after waving goodbye. If you’re fuzzy on the best practices for used car buyers, or you’re simply looking for tips on finding a quality ride at a fair price, check out our list of things to watch out for when buying a used car. If you’re not sure whether to buy new or used, or lease, review our guide to those three options. You don’t have to replace your sold car, of course. Perhaps you’re taking a big step toward simplifying your life. Or maybe you’re making a move to one of the many cities that actively support car-free lifestyles. Or the sold car just wasn’t serving any useful purpose anymore. Whatever the reason, selling your car on the private market is the best way to maximize your return on the transaction – as long as you’re willing to do what’s required. Have you ever sold a vehicle in a private-party transaction? How was the experience?